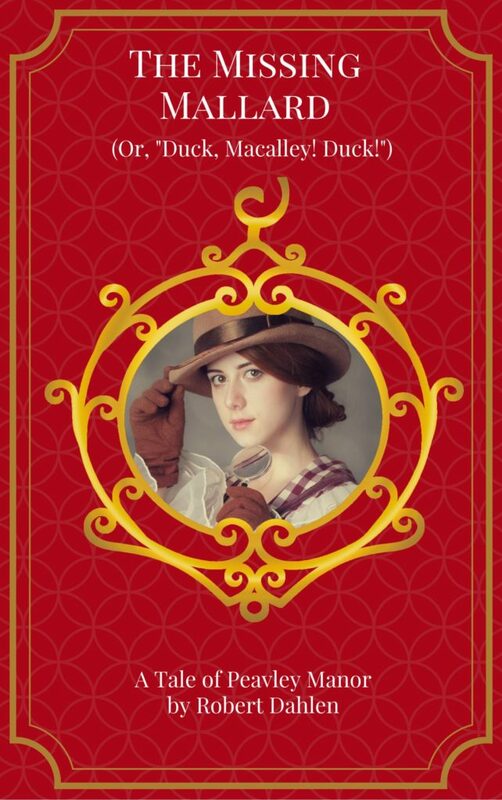 Sunday catchup, and here’s a reminder if you missed it: “The Missing Mallard (Or, ‘Duck, Macalley! 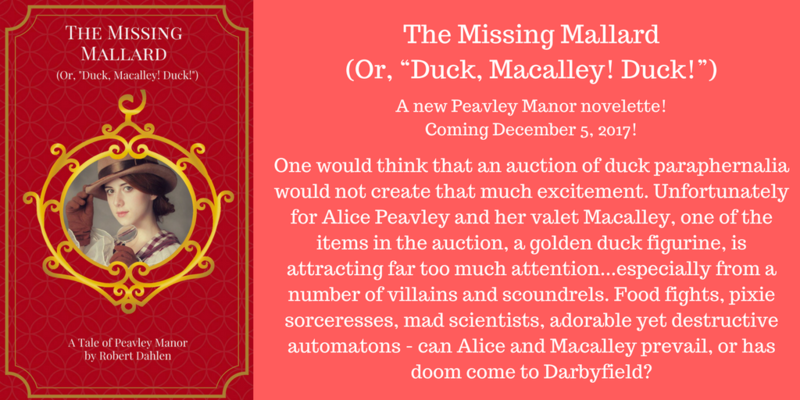 Duck!’)”, the new Peavley Manor novelette, was released this past Tuesday! Click here to get buying links and read a preview, or head to Amazon!. Keeping it short this week; I’m in wind-down mode after publishing one novella and four novelettes this year. (I broke 90,000 words for 2017, which was amazing.) But I did do a complete bit of dark silliness this past week, and here’s a link to the Twitter moment where it emerged. Enjoy “The Night Before the War on Christmas”!